A gar greeting the day. 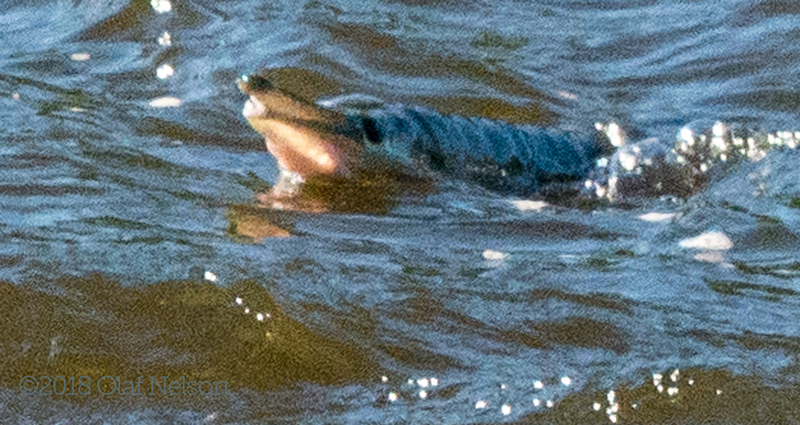 This photo is cropped to an absurd degree, as this fish was quite far from my position. I like it anyway.